The two photos above are of the same snake. The top photo taken as a hatchling and the bottom photo taken as a sub-adult. 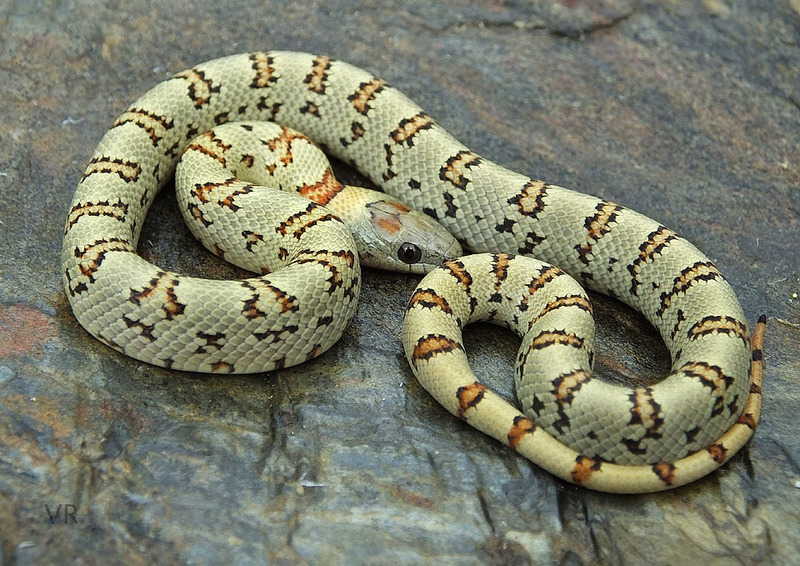 The EarthTone Variable Kingsnakes tend to undergo the most radical color changes as they mature whereas the VR strains tend to be more or less fixed at hatching. Sometimes it may appear as if the pattern has changed but this is an illusion brought about by changes in local pigmentation. 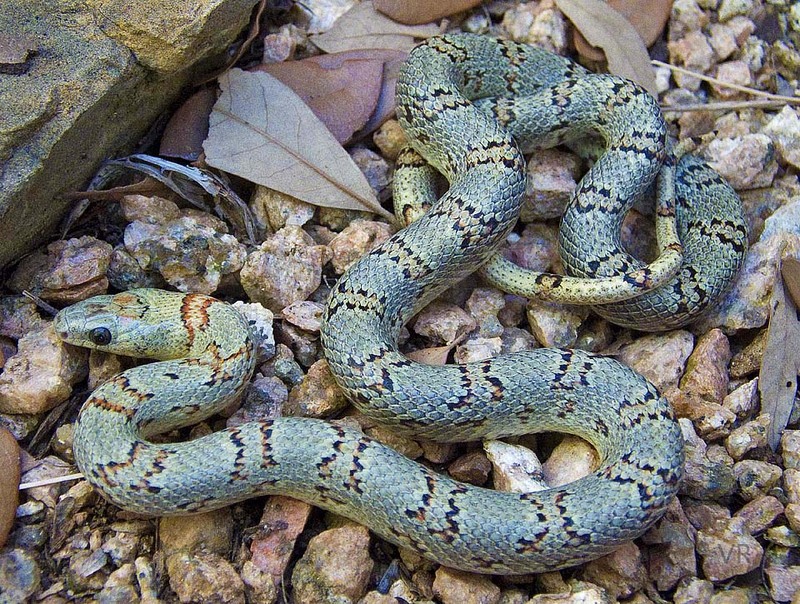 The snake exhibited here is not done undergoing the change yet - the silvery gray-green will deepen further and the primaries will appear to fade and partially dissolve. Female EarthTones tend to be darker and more cryptic in general than males, blending seamlessly into the soil, stone and mosses.